YOU CAN’T DO EVERYTHING ALONE; NOW PUT THAT ON REPEAT! I used to think that I wasn’t worthy. I’ve been burned. On paper I would be classified as a burn survivor. 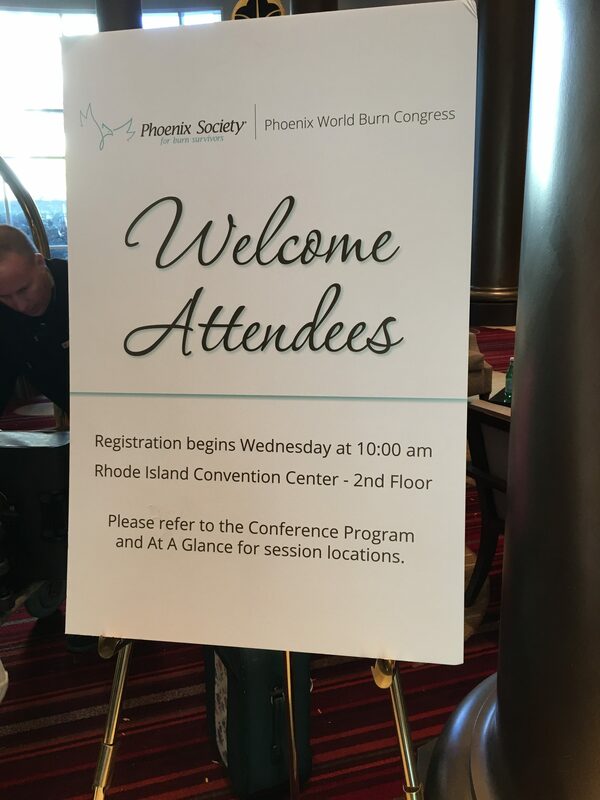 I spent last week feeling anxious and nervous because I had no idea what I was going to experience at the World Burn Congress in Providence, Rhode Island. This was my first time at the annual event for the Phoenix Society for burn survivors. It’s been six years since my accident, and I finally made it. 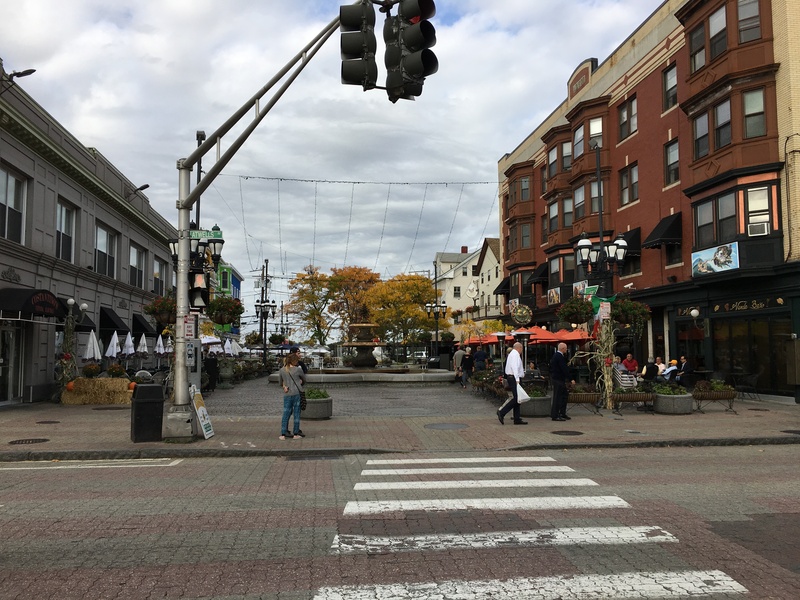 I was overwhelmed to say the least when I arrived in Providence. A place I had never been and quite frankly never had the desire to visit. Let me first say that even with my background in History I was not prepared for what Providence had in store for me. 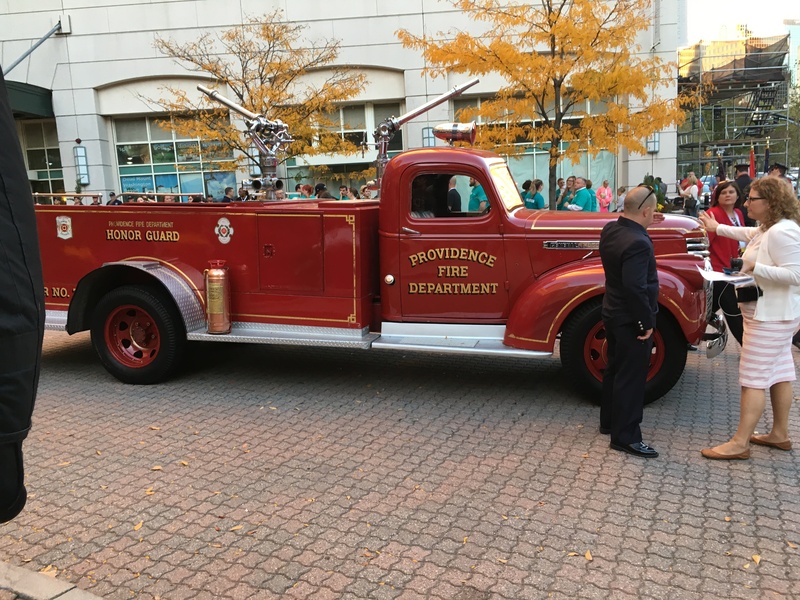 Greeted by the City of Providence firefighters who were our gracious chauffeurs to and from the airport was definitely a great way to start and conclude the week. It took me awhile to be able to think that I was even worthy to even be in the company of so many amazing people. Now, take a look at the photo that I selected for this post. Do you see anything? Maybe my hand. Do you notice my “birthmarks” (jazzy name for my skin graft)? I can remember after my accident I want to wear nail polish again. For years I had people tell me that my hands were beautiful, and I needed to be doing hand modeling of some sort. I will say that I have always loved a good manicure. I was painting my own nails for class photos at an early age. After my accident I honestly didn’t feel as though I was worthy of even a manicure. I had neglected the fact that God had blessed me with restoration. Restored my face, hair, and my mind. Here I am worried about a few scars that I had on my hand, arm, and leg. I’m not worthy. Again, I’m not worthy. This week taught me of how selfish I have been during this journey of accepting my past hurt, and knowing that I am a burn survivor. No matter the severity of my accident, I am still a person that went through the traumatic experience of being faced with extreme pain caused by a fire, and literally knowing what it felt like to harmed by flames. I was in a room with people that shared the love and support of friends, family, and caregivers. I on the other hand was alone. By choice. I chose to not have any friends, family, or a support group around me because I felt as though I needed to experience this journey by myself. I needed them more than ever. I needed my mom, sister, family, friends, and caregivers, around me in that moment that I realized that I am beyond grateful to be here. It was overwhelming, and I would not have made it through that leg of the journey without them. I am here to say. I can’t do this journey by myself. I’m tired of being super strong. Super independent. Superwoman. This conference was my kryptonite. Why would I think that I could do this by myself, if I couldn’t make it through that experience without them? I still need them, and I need you! When you think you can do it all by yourself you cannot. When you think you are doing it all by yourself, you are not. I know it sounds good to say,”I’m independent, I got this. No one has my back.” You are WRONG! When I tell you it was Jesus and I in Rhode Island last week, I mean that. Yep. When I had no one I had Him. I wanted to check out mentally on Wednesday night because I felt that I had made the wrong choice. Oh but I didn’t. I met people like Barbara and Scott from Dallas, Texas on Saturday, who embraced me and loved on me. Excited that I decided to even take this journey by myself. The sessions and keynote speakers that inspired me to be an advocate for myself. Accepting the challenge of sharing my story during one of the sessions of how I believe the purpose of my burns was to show my dad how miracles do really happen. Having Faith is real, and how it will carry you a mighty long way. When you think all is lost, the impossible happens. I’m glad I was able to learn some things about myself while exploring Federal Hill, and the State Capitol. I learned that it’s okay to let people love on you while you’re still in the land of the living. Accept that love, and take a piece of it and share it with someone else. I’m always talking about paying it forward. Well, it feels good when you do. Saturday night I realized I was not alone. There were individuals in the same room that experienced the journey of triumph after the storm. The individuals that know what it means to make it through the fire. Now, that’s something to rejoice about.